Hello and Happy Saturday!!! Today, I have a fun card to share with all of you today! I have quite a few birthdays to still make cards for this month so I thought I'd better get going on some coming up pretty fast! This cutie called Birthday Anya 3 from The Greeting Farm is always one of my favorites to make a birthday card with! I had fun coloring her up with my copics and adding lots of Wink of Stella to her for extra sparkle! The festive papers in the background are from a collection called Lemonade Stand by Bo Bunny with lots of fun bright designs. To finish off my card, I added some Cherry Blossoms from Wild Orchid Crafts, some ribbon and sequins of course! 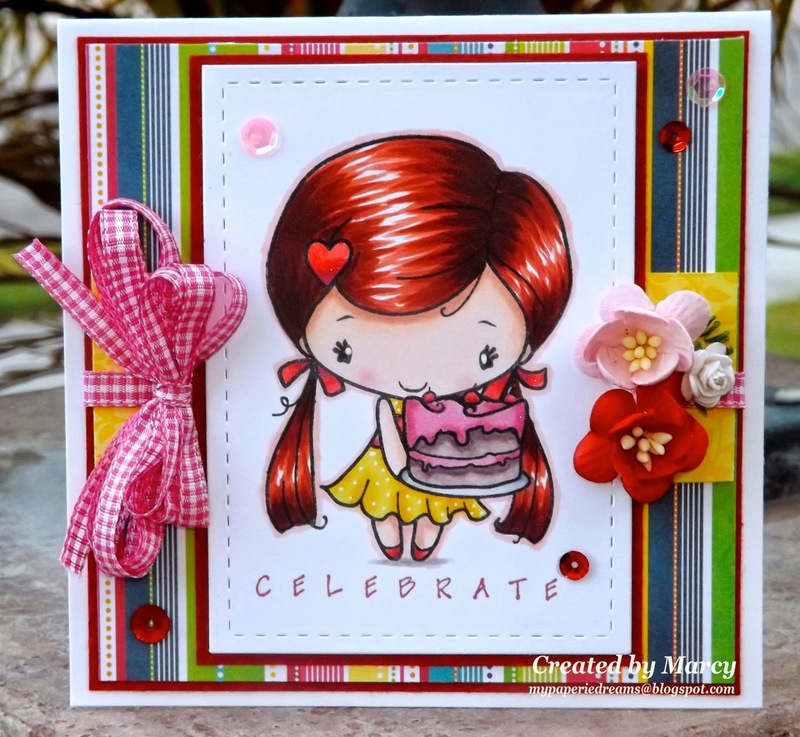 Make sure to check out the Loves Rubberstamps store to see all of the adorable stamp sets by The Greeting Farm! Also, we have a new Sensational Blog Hop starting tomorrow so be sure to visit again! Have a wonderful weekend and thanks so much for stopping by! What a beauty! The colors are so cheery.